To view Alber's answers, please click on third image. 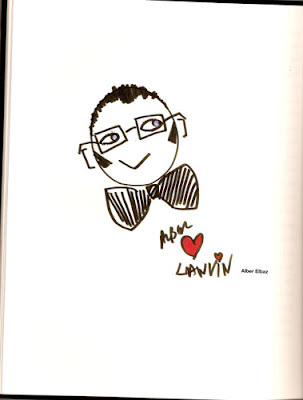 I think of Alber Elbaz at the mere mention of Geoffrey Beene (please see previous post), and think you might too after reading his respectful responses from the The Fashion Questionnaire. Images via The Fashion Questionnaire, published by Assouline. in middle school i used to have this beautiful Beene wool turtle neck sweater i loved to death. I insisted on wearing it (w/ indigo Guess? jeans, a beret and bass penny loafers) despite the fact it made me sweat like crazy. 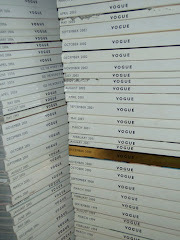 sadly i don't have it any longer but i still love Geoffrey Beene, the designer and his designs. alber is one of those designers whose vision and aesthetics i admire yet somehow his clothes end up not sparking for me. when i read an interview a while back about his admiration Geoffrey Beene it made me smile.